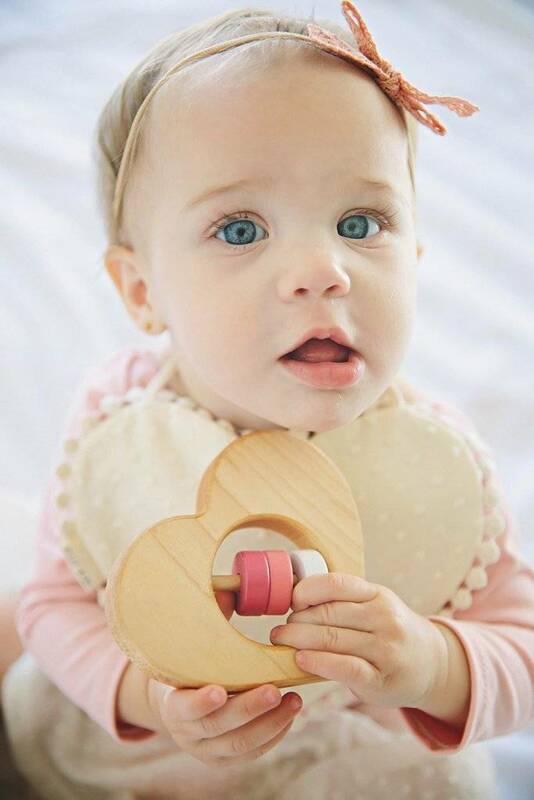 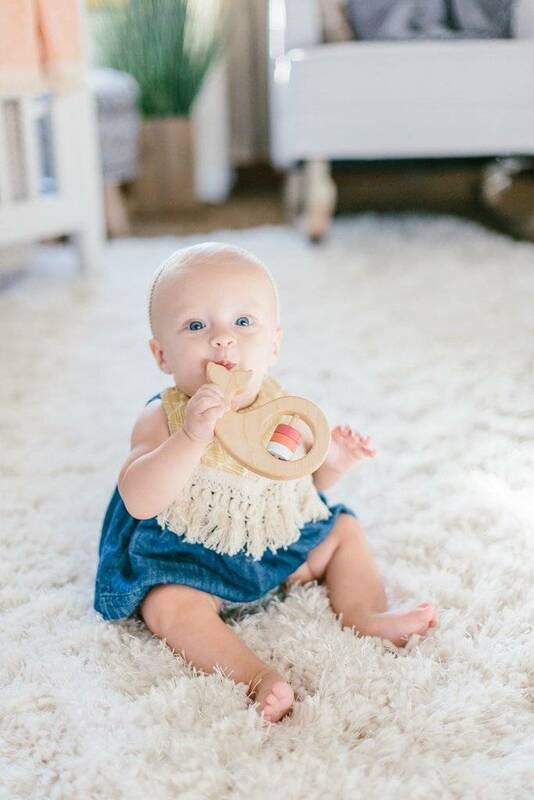 This rattle is organic and natural. 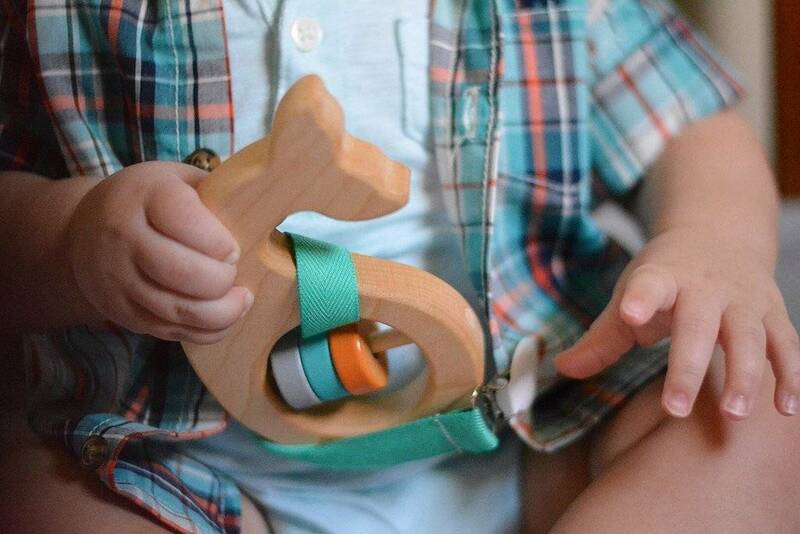 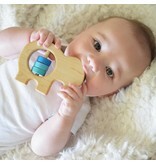 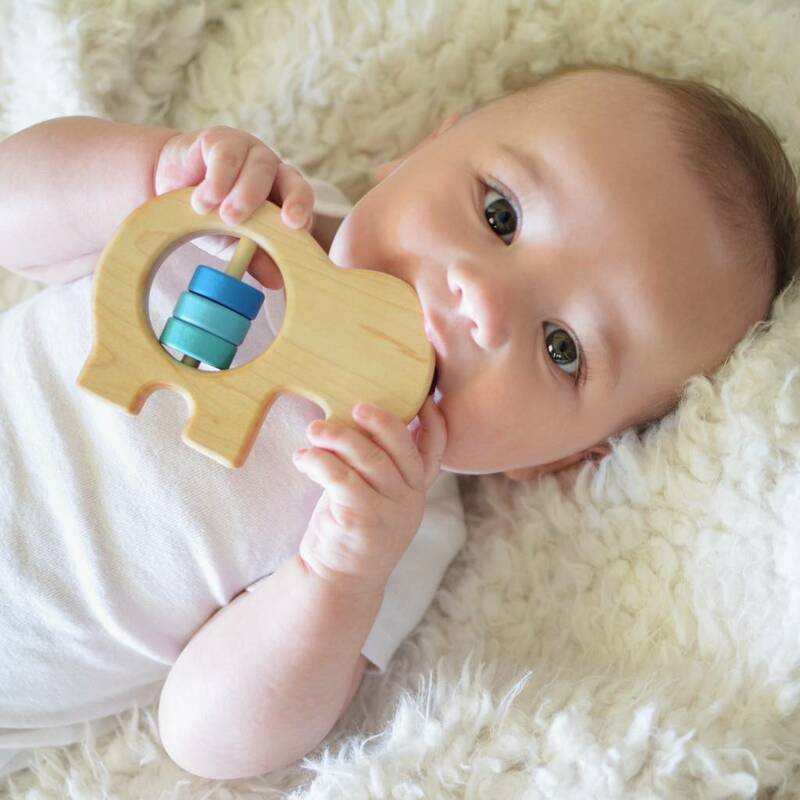 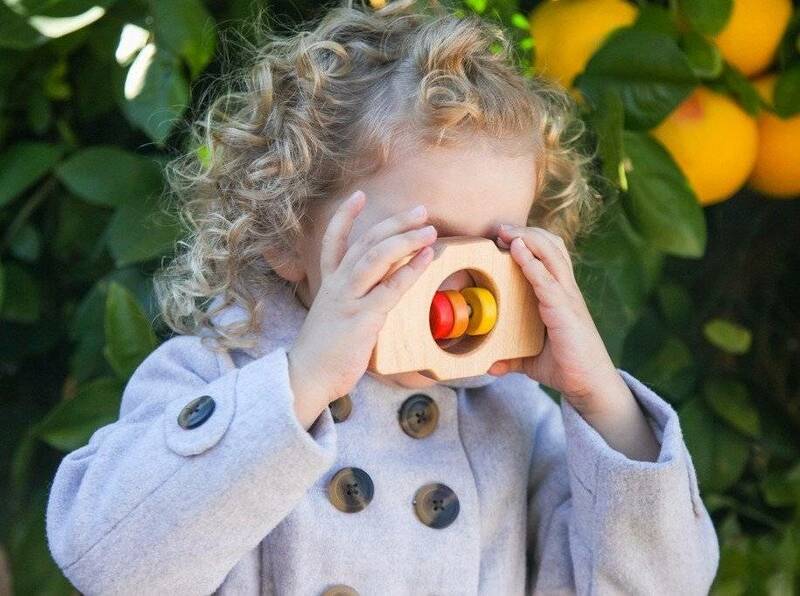 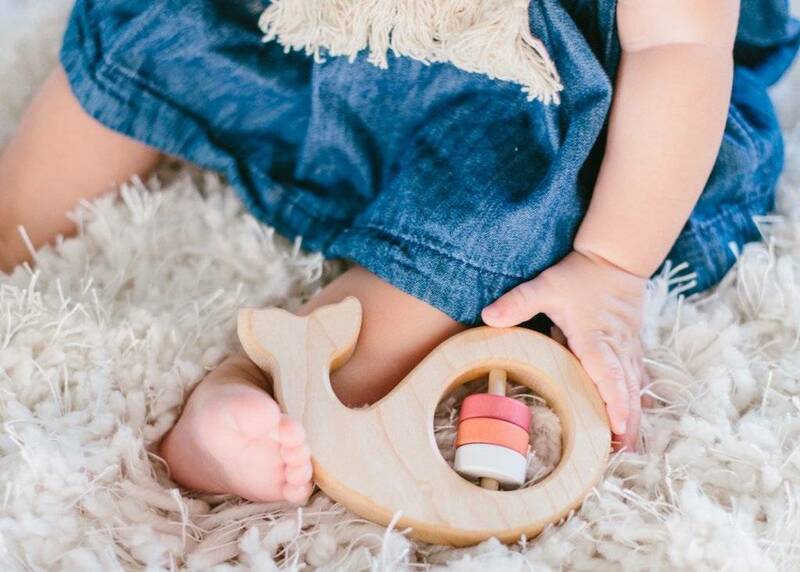 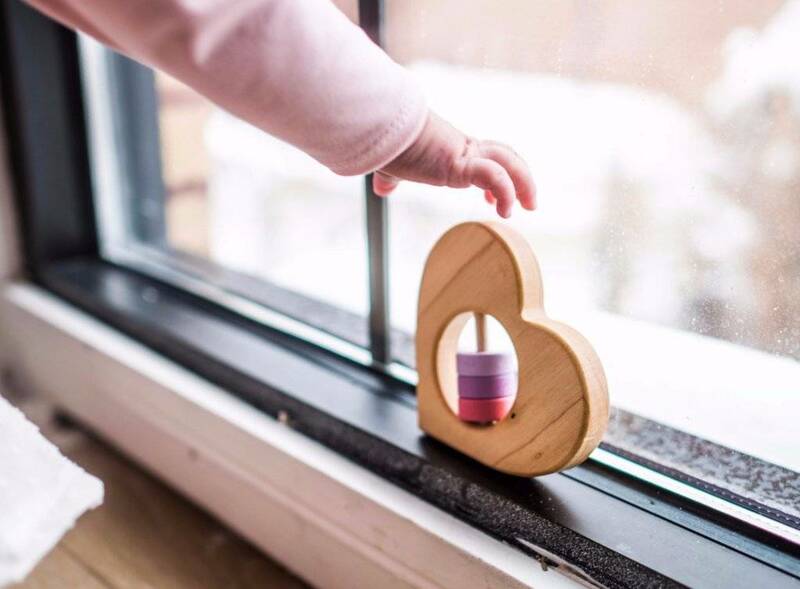 They are made in light Maple wood and finished with our own special mix of organic beeswax and flax seed oil making this toy both beautiful and durable. 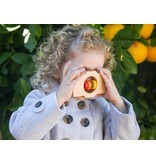 And at 3.75 x 4.5 inches, it is the perfect size for your little one's hands. 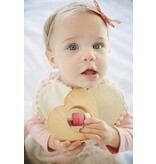 We have a mixture of color combinations, please indicate if you would like pinks, blues, purple or black/white.